Marc Martel, who helped voice the role of Queen lead singer Freddie Mercury in an upcoming film, will perform in concert at Middle Georgia State University at 7 p.m. Friday, August 17, at the Macon Campus of Middle Georgia State University (MGA). Proceeds from the concert, presented by the Middle Georgia State University Foundation Board of Trustees, will benefit MGA's new Bachelor of Arts in Contemporary Musicianship program. 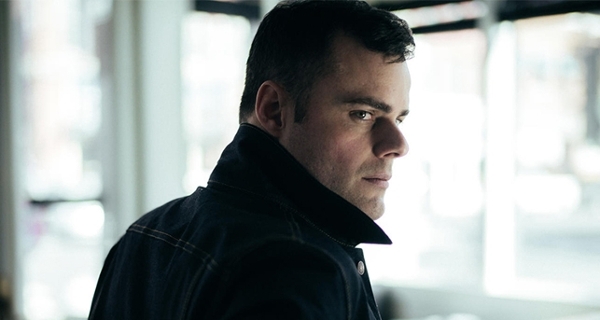 “The Middle Georgia State University Foundation is proud to bring Marc Martel to our Macon Campus," said Dr. Ken Fincher, MGA's vice president for Institutional Advancement and executive director of the Foundation. "While Marc’s performance will undoubtedly be amazing, what I am looking forward to the most is the opportunity for MGA students to sit down with him and discuss careers in music, performing, recording and other topics central to student’s interest. Marc’s voice is truly amazing and we are so excited to hear him perform in an intimate venue in an unplugged style setting." Rami Malek will portray Mercury in the Queen biopic movie, Bohemian Rhapsody, set for release later this year. But Malek could not recreate Mercury's voice. Most singing scenes in the movie rely on Queen recordings or new recordings by Martel, a Canadian Christian rock singer. Martel's voice is practically identical to Mercury's. Tickets for Martel's Middle Georgia State show, which will take place at the Robert F. Hatcher Conference Center in the Professional Sciences Center on the Macon Campus, are $50 per person, $400 for a table of eight, or $20 each for college/university students. Sponsorship opportunities are also available. For more information, contact Keisha Fields at 478-471-2732 or keisha.fields@mga.edu. A Macon Campus map is at https://www.mga.edu/about/maps.php. Long before his YouTube videos went viral, spawning an appearance on “The Ellen DeGeneres Show” and a performance with the surviving members of Queen on “American Idol,” Marc Martel spent 13 years recording and touring the globe with Canadian rockers Downhere. Not only did the rock band visit all 50 American States, but also toured throughout Europe and even Northern Africa, collecting worldwide acclaim and four Juno Awards in their native land. After paying their dues for more than a decade in a fifteen passenger van and finally graduating to a full-fledged bus, the group wrote what they believed was the very peak of its artistry and expression, but despite the private support of radio programmers, the public never latched onto to what turned out to be Downhere’s swansong effort. Yet right around the time when that writing popped up on the wall, Martel received an email from an industry pal with a link to a contest spearheaded by the actual members of Queen. At first, the front man almost passed on the opportunity, but with some prodding from his wife and additional friends, he casually cut a version of “Somebody To Love” in 2011, and now 30 million cumulative YouTube and Facebook views later, bolstered by the aforementioned “Ellen” appearance, Martel was declared the victor. Even legendary Queen drummer Roger Taylor remarked to the Daily Record: “That voice. You listen, close your eyes and you think it’s Freddie. It’s really uncanny.” For the last 6 years and over 160+ shows Marc has fronted Queen’s official tribute show, The Queen Extravaganza.